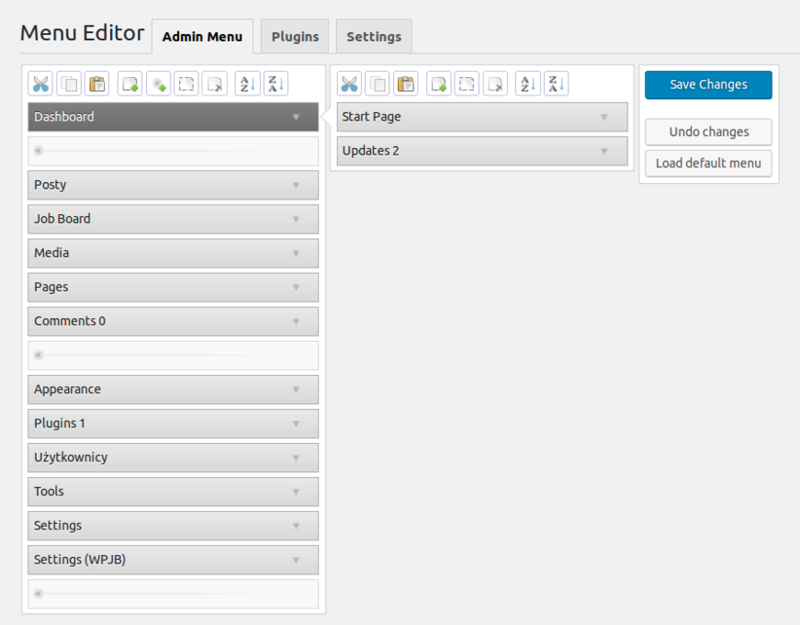 To download the plugin and go wp-admin / Plugins / Add New / Upload Plugin panel and install from there. When you have it go to wp-admin / Settings / Menu Editor. It looks like this. 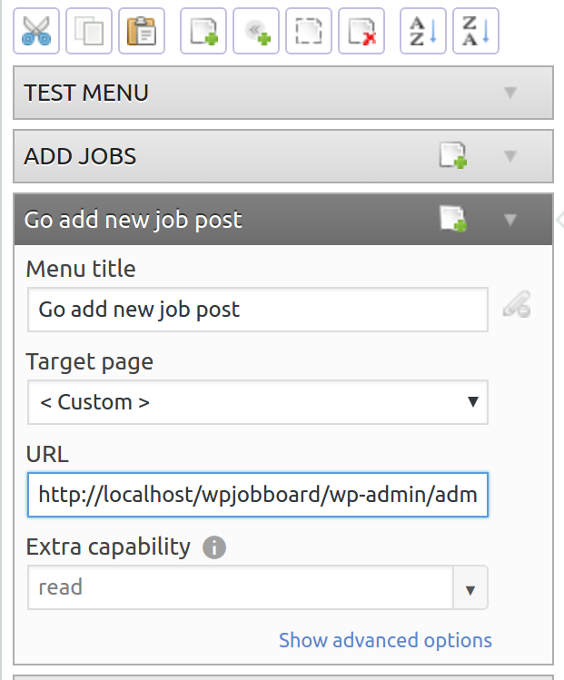 This plugin gives many possibilities which you can do with your Admin Menu. You can add, remove etc. I will show you how you can change it. 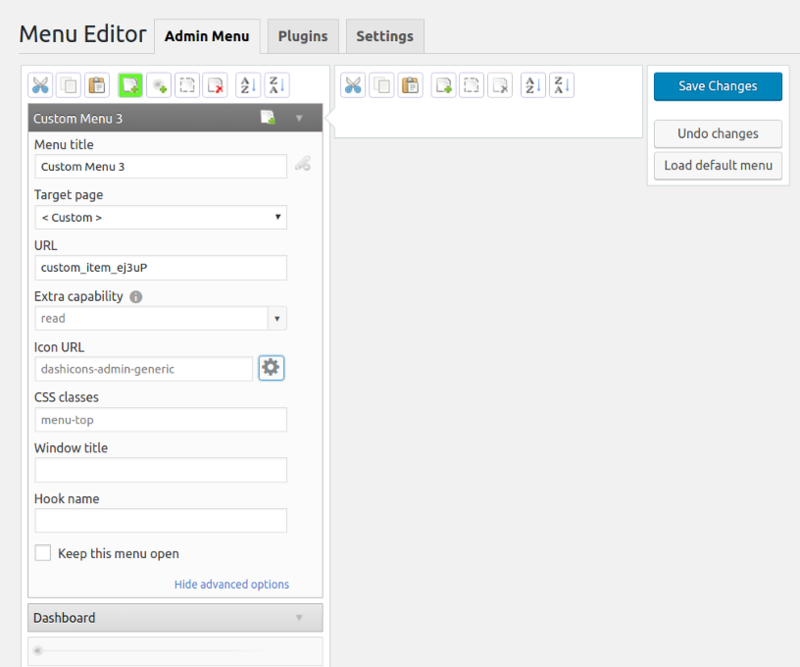 First I show you how to add something to ours Admin Menu. Target Page: Here you can pick where your menu will be redirected. URL: URL to page link will redirect to. Extra capability: Only users who have this capability can see the menu. Icon URL: here you can click on the icon and select icon you want to display next to the menu item. CSS Classes: allows adding extra CSS classes to the menu links. Window title: Title that will be displayed in the browser window when user will go to this page. Hook name: The hook name is a unique internal ID that WordPress generates based on the menu location, type, and slug. It’s also used as the HTML ID of the menu item. When you will fill all, you have a new page in our Admin panel. If we want to add to the menu link which redirects user to some page then we must only enter the name and paste the link in URL. It looks like this. When you save it, you have new page on your menu and if you click this, will redirect you to the site. If you want to remove you must only select what menu you want to delete and click on “Delete”, after you have communicated about delete, put “OK” and it’s all.